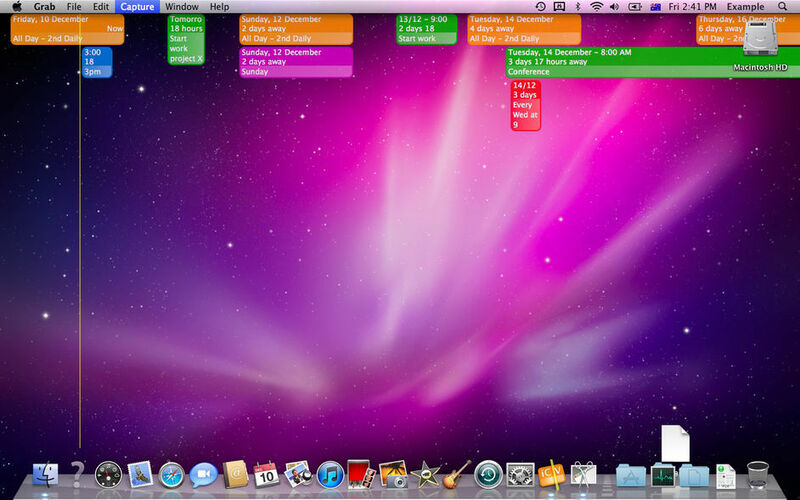 View iCal events in a window or as screensaver (was iCalViewer). Is there a better alternative to TimeWorks? Is TimeWorks really the best app in Personal Info Managers category? Will TimeWorks work good on macOS 10.13.4? 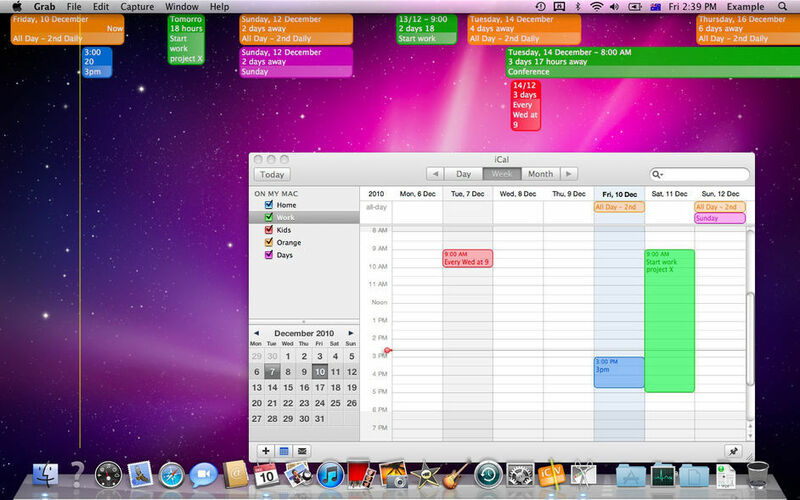 TimeWorks displays the events from Apple's calendar application, iCal, in a window. 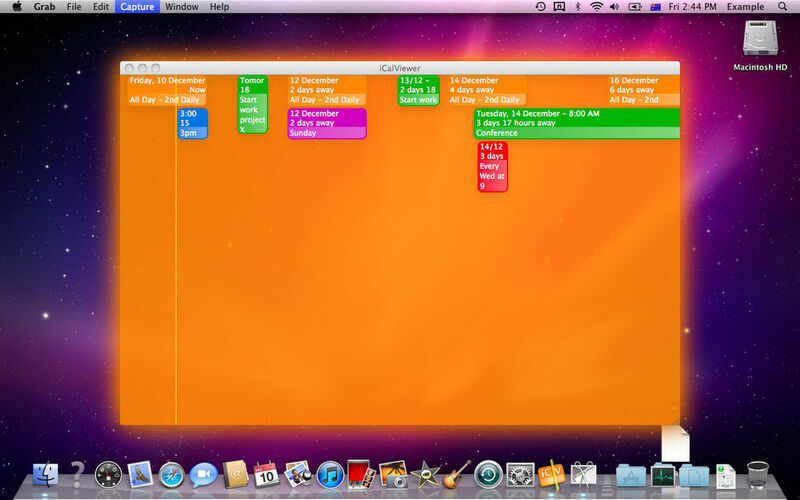 Each event is displayed in a similar way to iCal and marches towards a finish line which is the time now. You set how far you want to see into the future. Events are displayed in a window on the desktop, over the screen saver. An Exposé hotkey brings the display quickly into view when you need it.